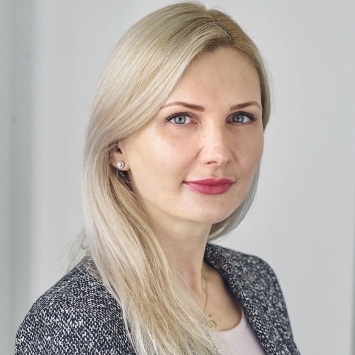 Before joining NKB Group as Head of Advisory, Marina led some of the high profile token sales in the US, such as Blockchain Capital, Storj, Civic and doc.ai. Prior to moving to digital finance and token-based capital markets, she was an investment banker for over 7 years with Morgan Stanley and Nomura in London, where she has raised billions of dollars for clients in traditional capital markets across IPOs, follow-on offerings and M&A transactions. - What KPIs and token economic models are the experts evaluating to determine their investment strategies? - What constitutes a good security token? Disclaimer: www.securitytokensrealised.com is a platform for information about the Security Tokens Realised event series. We are not a registered broker-dealer or investment advisor. We are not a Security Token or blockchain platform, nor can you purchase or invest through our website. We do not offer investment or purchase advice; nor do we endorse or recommend purchases or investments in any Security Token, and we don’t tell you if any purchase or investment is suitable for you. Additionally all investments entail risk, and investments in start-ups as well as Security Tokens involve a potentially greater risk.